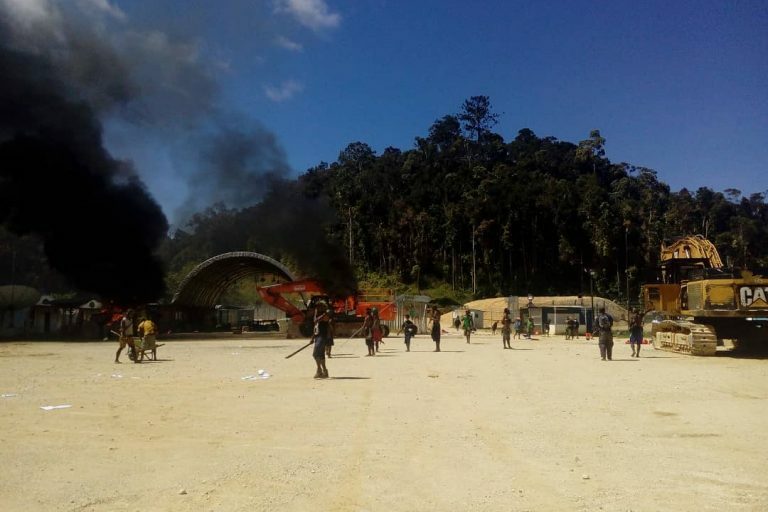 On June 21, a dispute over royalties led heavily armed civilian groups to set fire to construction equipment at the ExxonMobil-led PNG LNG project in the Papua New Guinea highlands. Negotiations with the government on June 26 failed to ease tensions. All wellheads have now been closed down and ExxonMobil personnel are being evacuated. Landowners in Papua New Guinea’s Hela province have threatened to expand and escalate their blockade of a natural gas project there, after an attempt at negotiation fell through. Plant operator ExxonMobil PNG confirmed to Mongabay that all wellheads and the Angore pipeline have been shut down and personnel evacuated. 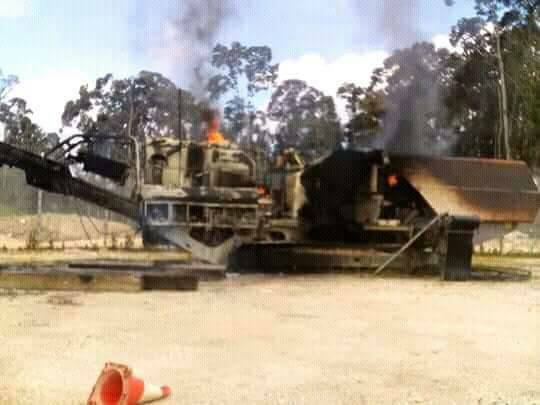 On June 21, to “show frustration” over a decade-long, unresolved landownership dispute, heavily armed civilian groups set fire to construction equipment and blockaded a wellhead site in Angore. The $19 billion PNG LNG (Papua New Guinea Liquefied Natural Gas) project is the largest resource extraction project to ever be developed in the country. The safety of “staff and the community is our first priority,” the spokesperson added. The spokesperson also confirmed that the neighboring Hides gas conditioning plant was operating as normal. Armed protesters at the blockade of the Angore LNG pipeline. Image courtesy of ATALA. On June 26, representatives from landowner group Angore Tiddl Appa Landowners Association Inc. (ATALA), including Marlex Au from the Jangali clan and Eric Mondoro of the Telia clan, traveled to the national parliament in Port Moresby to negotiate with Prime Minister Peter O’Neill. ATALA is demanding from the government an “infrastructure development grant” of 32 million kina ($9.7 million), equity shareholder certificates for traditional landowners, 2 percent royalties every month, and for the government to complete official clan vetting for the PNG LNG project. Instead, ATALA were met by public servants, offered 20 million kina ($6.1 million) and told to halt the protesting and unrest in Angore and to lay down their weapons. This meeting was “to stall,” says Gary Juffa, governor of Oro province and a prominent opposition leader. “If the government don’t listen to ATALA Inc., we have capacity to shut down Hides Gas Conditioning Plant and Komo Airport. That will shut down all of PNG LNG’s operations,” Pajilah said. Both Palijah and Hayabe have said ATALA can “raise all of Hela” to shut down PNG LNG. 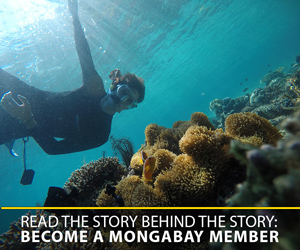 Papua New Guinea anthropologist and Hela expert Michael Main said ATALA had “an incredible amount of support” and was recruiting people to join the group, including by offering money. 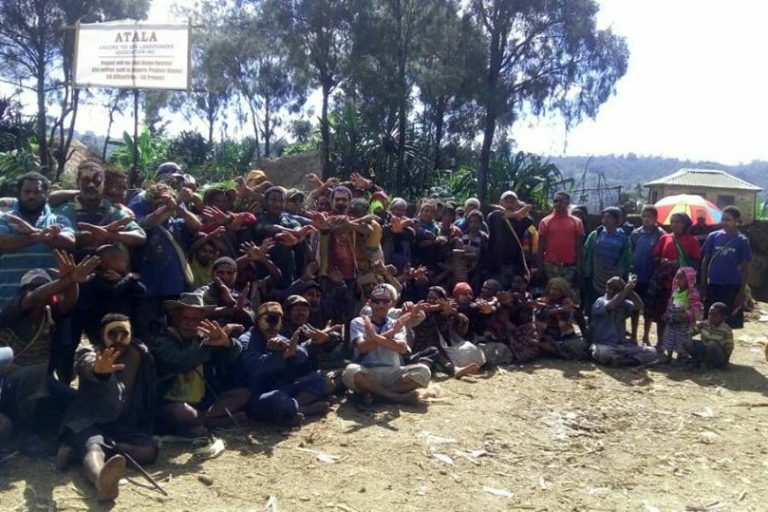 With the support of the population of Hela, it would be possible for ATALA to blockade and shut down the Hides conditioning plant, Main said, as PNG soldiers “are outnumbered and outgunned.” Juffa told Mongabay separately that ATALA was better equipped than the PNG military and police. If a resolution is not found soon, the dispute “could be the end game [for PNG LNG],” Main said. The Angore Tiddl Appa Landowners Association Inc. (ATALA) says it represents 150 clans in Hela, numbering some 100,000 people. Image courtesy of ATALA. In an attempt to quell the continued civil unrest and prevent the suggested closure of PNG LNG, a government delegation will head to Angore. Although a date has not yet been confirmed, Hayabe said it was likely the meeting would be held in Angore on July 13, before the July 18 deadline imposed by ATALA on the government to respond. If the government fails to meet the deadline, “There will be no PNG LNG gas project,” Hayabe said. For the use of its land to develop PNG LNG, the government owes ATALA “millions,” according to Juffa. To resolve the dispute, the government “will have to find that money somewhere,” he said. He also suggested the government delegation’s response appeared to be the result of pressure from ExxonMobil PNG in a bid to prevent further damage to its infrastructure. Construction equipment in flames in Angore. Image courtesy of ATALA. ATALA says it wants to work together with ExxonMobil. “We have no issue with Exxon employees, they can go home to their families. This is not their fight,” Palijah said. Hayabe said he did not trust the government, and that it should have responded quicker. “We gave the government two more weeks to respond,” he said, referring to the deadline extension to July 18. Banner image of armed civilians at the Angore blockade, courtesy of ATALA.